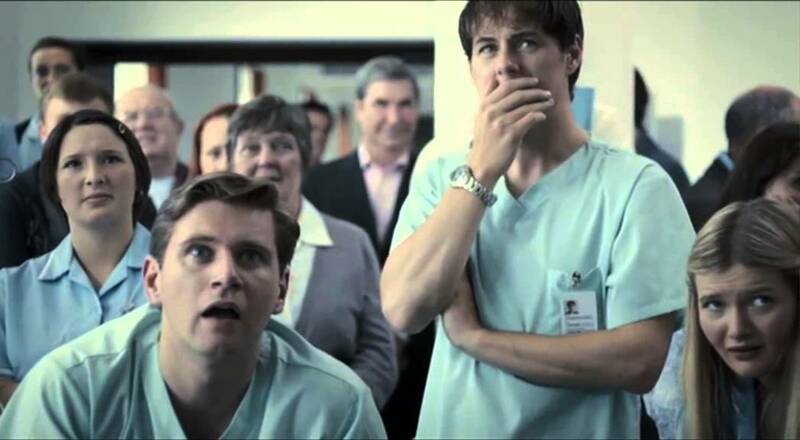 Allen Leech in a minor role is the first Black Mirror episode "The National Anthem"
"Whoa, it's Tom from Downton Abbey." "Wait, that's Mr. Grove from Mr. Selfridge." 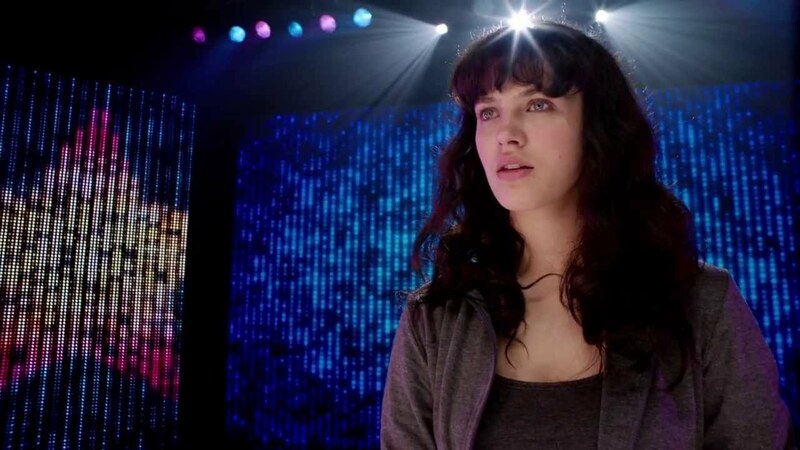 Part of the pleasure in the first episodes of Black Mirror (as an American viewer who enjoys some PBS Materpiece as a way to catch some of BBC's shows), and in Episode 1 "The National Anthem" two recognizable faces from Masterpiece show up in small roles. Allen Leech (Tom from Downton Abbey) and Tom Goodman-Hill (Mr. Grove from Mr. Selfridge) show up. And then episode 2 begins and the fictional wife of Downton's Tom, Jessica Brown Findlay (Lady Cybil Crawley) plays a staring role in "Fifteen Million Merits." Jessica Brown Findlay in "Fifteen Million Merits"
I realize to some the casting revelation is not that big of a deal, but on this side of the pond the cross pollination is pure delight...sure I recognized other characters in these episodes as well (Such as Rupert Everett who plays the judge of a singing competion in this second episode as well) but something about the "Masterpiece Theatre Crew" was certainly exciting...surely this trend couldn't continue. Episode 3 "The Entire History of You" you see a dinner party that includes a number of serial-british TV cast members reuniting. 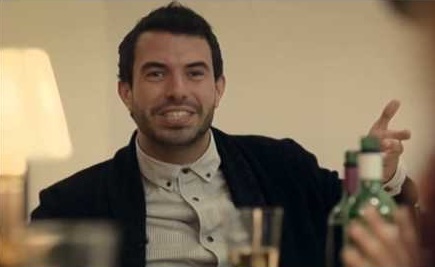 Tom Cullen (Downton Abbey's Anthony Gillingham), Amy Beth Hayes (Mr. Selfridge's Kitty Hawkins) and Jodie Whitaker (Broadchurch's Beth Latimer). Tom Cullen in "The Entire History of You"
And the Downton and Masterpiece connections (to me, on this side of the pond, mind you) seem to end here. These episodes through all three series/seasons are cast well, but it certainly is fun in this earlier phase to see some of these favorite characters appear outside of the role I was most accustomed. Note to Black Mirror casters, I'd love to see Hugh Bonneville, Michelle Dockerty, Jim Carter or Joanne Froggarty make an appearance in future episodes.